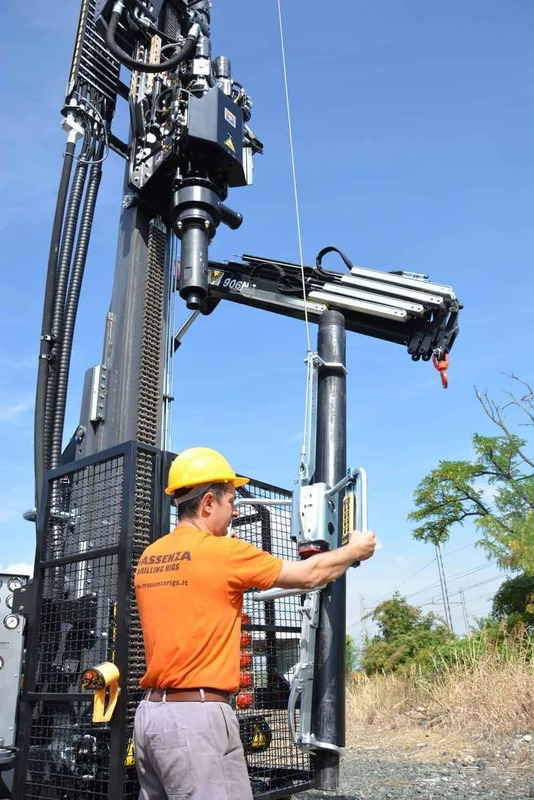 Massenza is proud to present the new MI8 with DOUBLE HEAD OF ROTATION, a fully customized puncher. 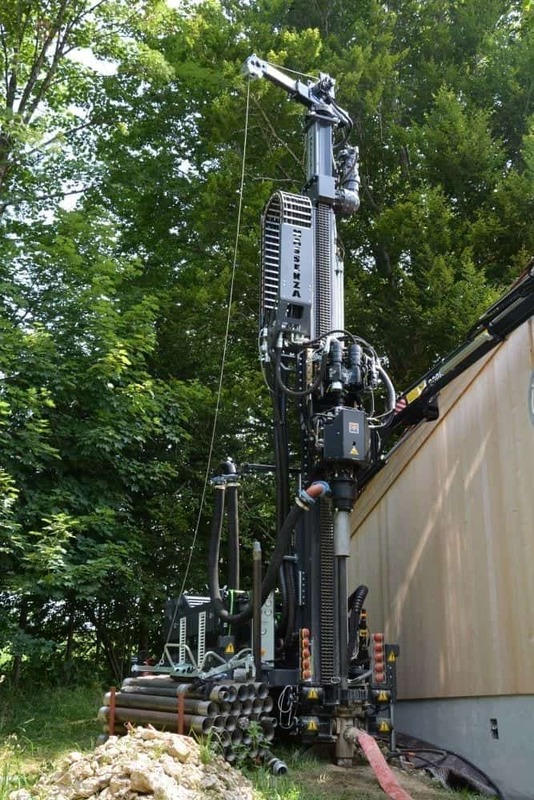 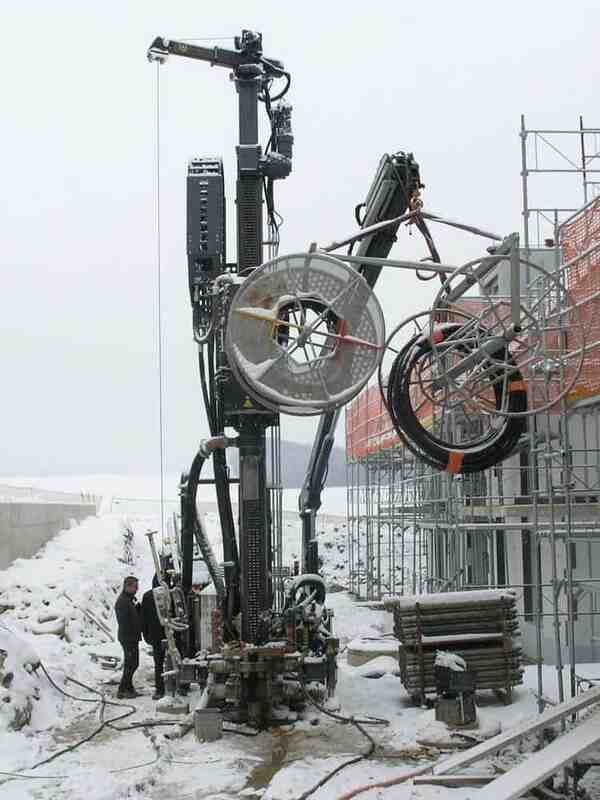 Conceived for drilling geothermal wells up to 300 m in Switzerland, it is perfect for all European countries. 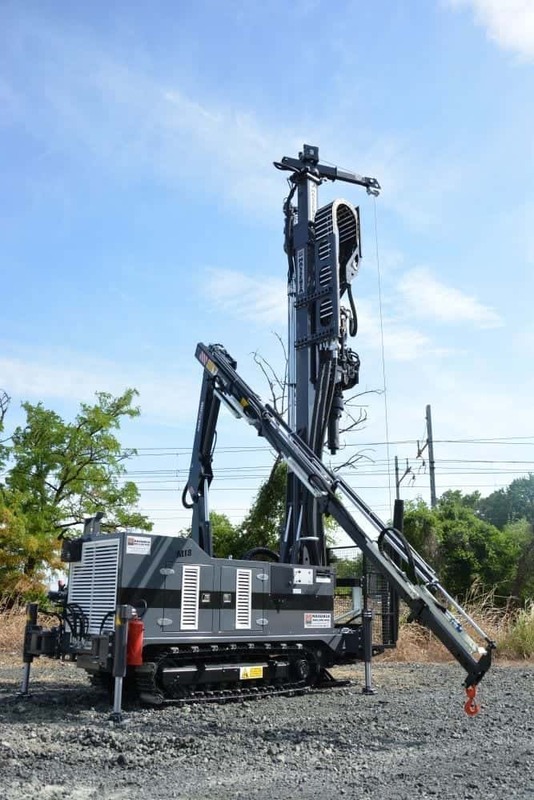 Mounted on tracks, this MI8 is equipped with two independent rotation heads. 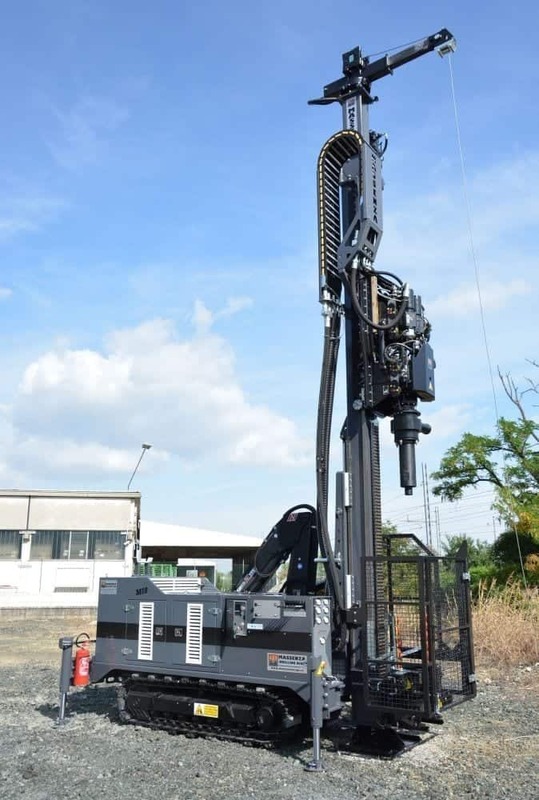 The upper one drills the well with the rods and the tool, the lower one has the task of positioning the casing of the coating at the same time as the perforation. 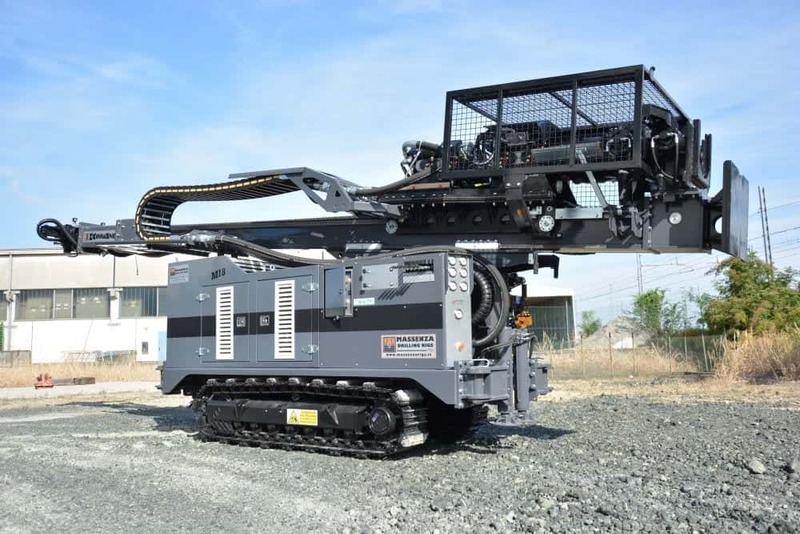 This system offers the puncher a high level of flexibility and control to operate in the most heterogeneous terrains. 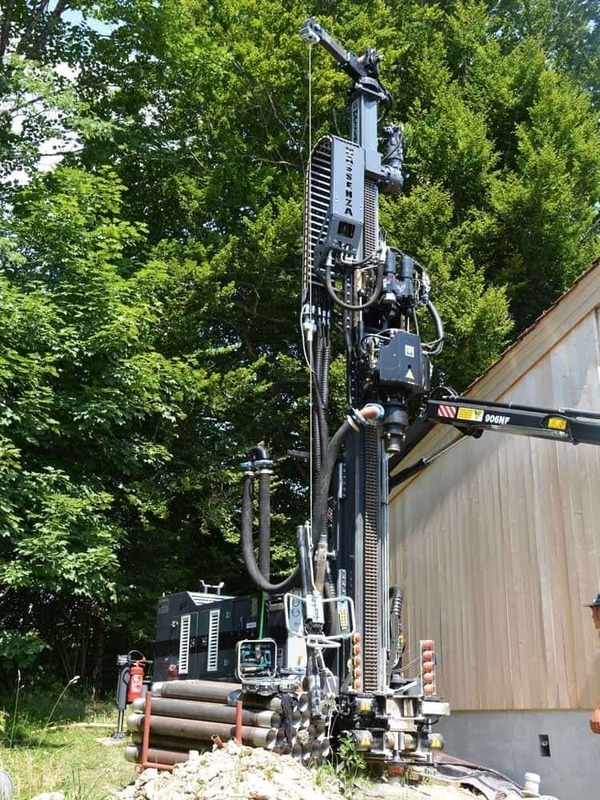 The drilling machine is extremely powerful, but the technical department of the Massenza has managed to design it with incredibly compact dimensions, impossible to find elsewhere on the market. 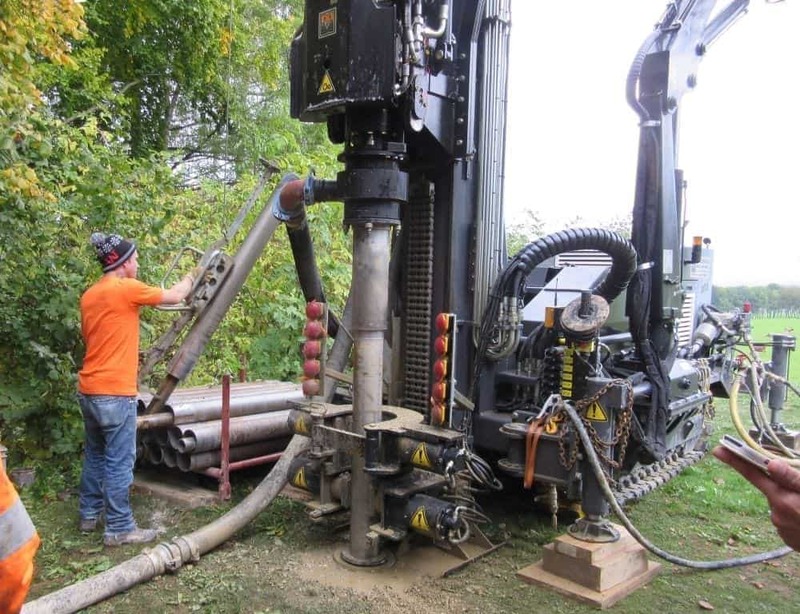 These reduced sizes allow drilling even in the most restricted places. 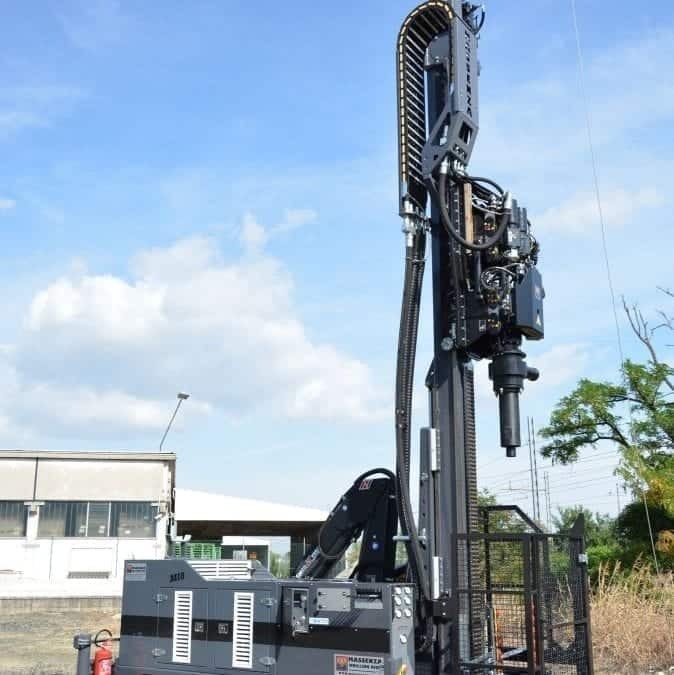 Because of its robustness and reliability, it is used for demanding drilling at considerable depths. 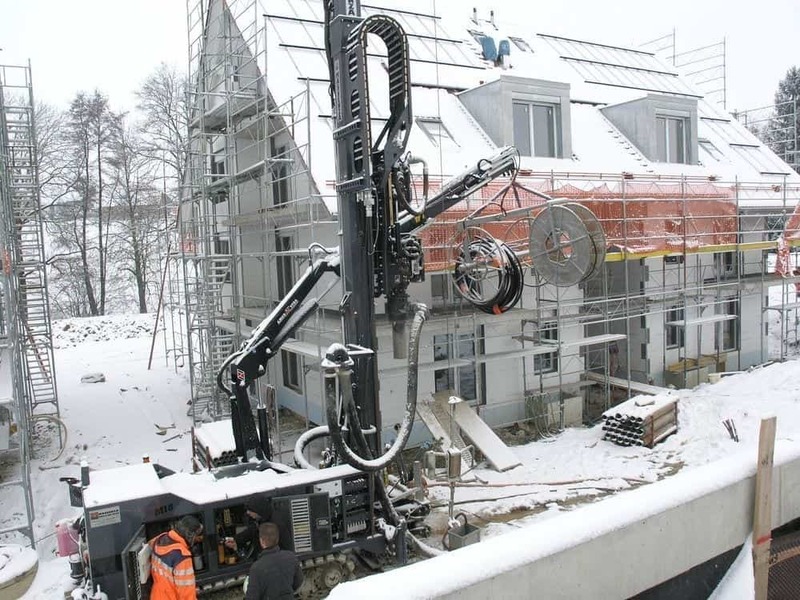 - Rotation with bottom-hole hammer.